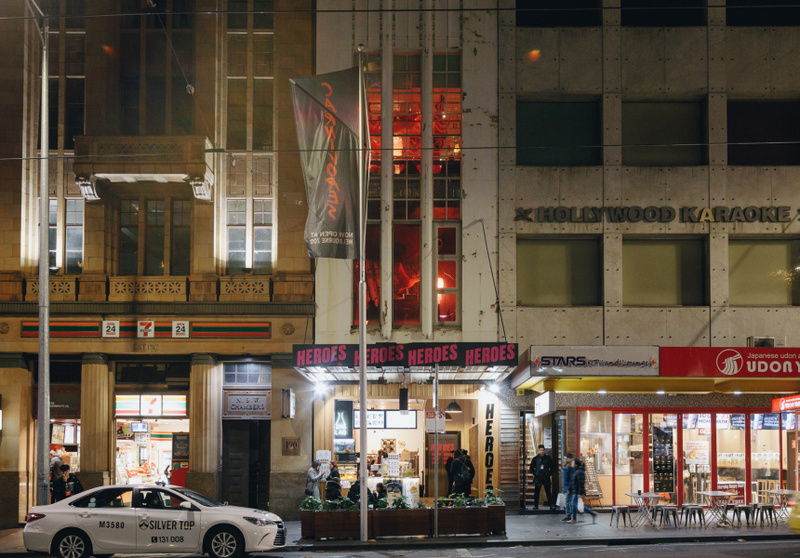 A night at Heroes begins on Bourke Street, in the ice-cream shop Nitro Lab. At the back of the store is an elevator that takes you from cool, liquid-nitrogen-produced fog to the rich charcoal smoke of Heroes, the Southeast Asian-inspired bar and barbeque spot from the team behind Fancy Hank’s. When the elevator doors open to reveal the level-two dining room, the immediate impression is one of visual chaos. An explosion of posters featuring Malaysian ads and classic Southeast Asian pop groups line the walls. A Chinese dragon winds its way through multicoloured hula hoops and bunches of plastic fruit. Shiny black tables and bar stools fill the narrow space, and chicken wings dripping over hot coals create a smoky vibe. The decor is the result of a 10-day research mission to Malaysia. Co-owners Alicia Cheong, Myles Munroe and Kent Bell hit every junk shop, flea market and antique shop they could find. Among the items collected by the trio is Cheong’s favourite – a small plate signed by Abdul Hafidz, the owner of antique shop Koleksi Malaya in Kuala Lumpur. Hafidz’s inscription reads: “We are friends”. When the Heroes team met Hafidz they ended up drinking coffee and chatting long into the night. He’s been texting them ever since, asking when his wares were going up on the walls. 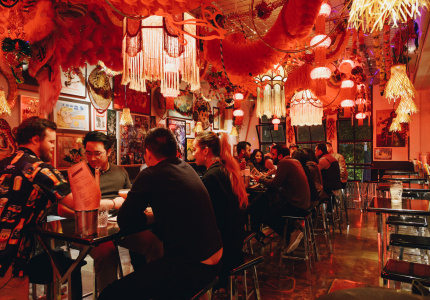 If you want to belt out a tune, enquire at the disco ball in the dining room, then head down the stairwell – flanked by a wall of ’90s band posters – following the sounds of karaoke to level one. It’s an open space for now, but karaoke booths will soon be installed. Private dining will be introduced in time, too. Upstairs, the level-three rooftop bar is filled with bright lights and colourful tables. The crumbling street-facing facade remains, but the old roof has been knocked out, creating a relaxed, open-air spot to peruse the Southeast Asian-inspired cocktail list. 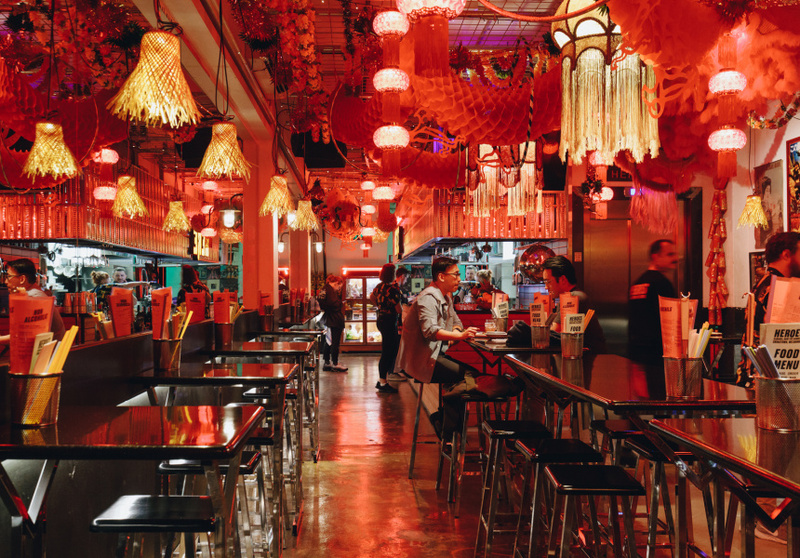 Bell handled the design, aiming for a Blade Runner-meets-Singapore hawker market aesthetic – but perhaps a more accurate cinematic reference is the ’80s fantasy romp Big Trouble in Little China. Bell says the intention was never to make the space feel too serious. Head chef Cheong is a Singapore native. 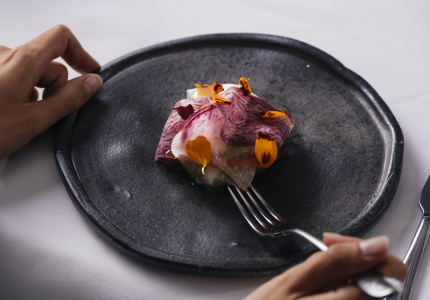 She moved to Melbourne to further her cooking career – where she met Bell during Fancy Hank’s infancy – before returning to Singapore for a stint at two Michelin-starred fine diner Restaurant André. 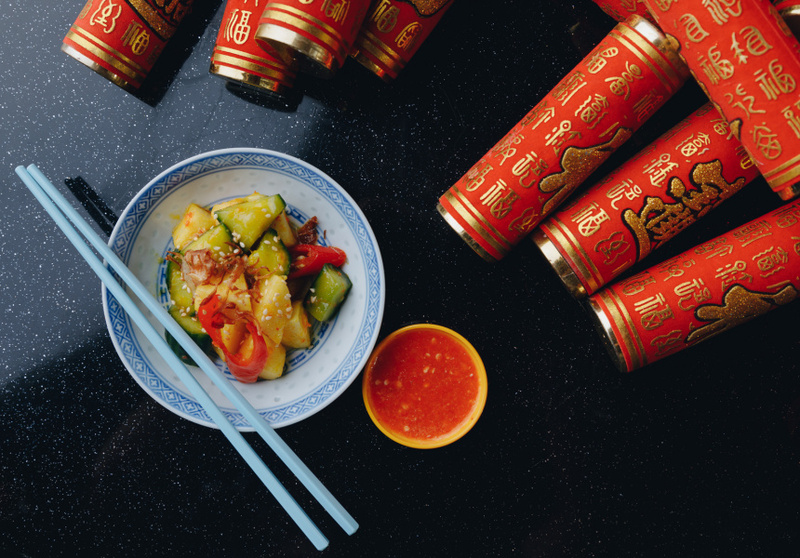 Cheong says that while the experience made her a better chef, it was the late-night snacks she’d grab after work that had the biggest influence on her. Both eggplant and lamb skewers feature on the Heroes menu, cooked on a custom-built grill. 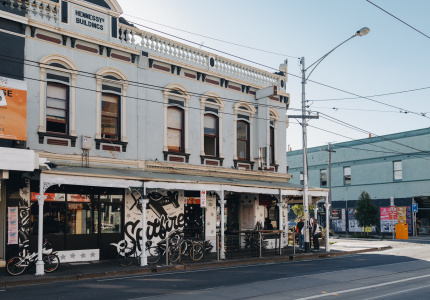 There's also Szechuan-spiced brisket, smoked across the road at Fancy Hank’s and deep fried for service; and a changing sambal seafood special. The cocktail list was put together by Oscar Eastman (ex-Eau de Vie, Loretta's), and there’s a tight list of local craft beer covering all bases – from pilsners to sour beer. 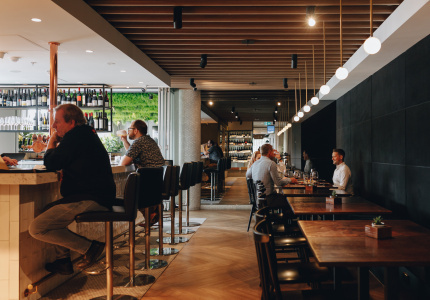 The wine list comprises a mix of locals complemented by Italian and French classics. More on the Heroes menu here. This article first appeared on Broadsheet on July 1, 2018. 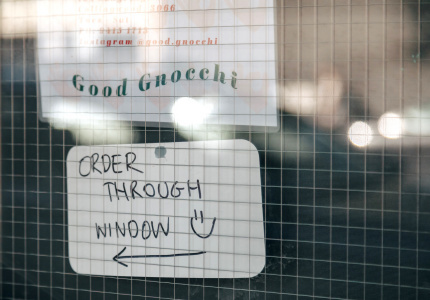 Menu items may have changed since publication.